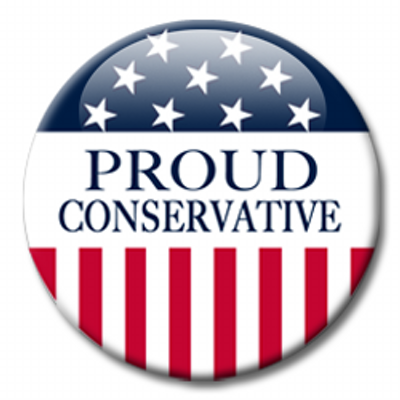 I’ve written here why I am a conservative. I’ve tried to point out the difference between liberals and conservatives and why you should see things my way. I sometimes hope you will. I’m not going to bad mouth liberals here today. My closest friends are liberals. While I love them, I realize that while we have a lot of the same destinations in mind, we travel vastly different roads. The first tenet of conservatism is a belief in God. That is the broad concept of religious faith, the Judeo-Christian belief in God. To conservatives, that translates into a basic desire to adhere to the concepts of justice, virtue and fairness. This conservative belief is tied to the idea that there is an allegiance to God that both transcends politics and sets a higher standard for politics. For conservatives, there must be an authority greater than man, greater than any mayor, supervisor, governor, court or president: no government organization can or should compel our absolute obedience or attempt to control every aspect of our lives. Conservatives believe there must be a moral underpinning to political order. This pillar of conservatism does not endorse mixing up church and state, and it certainly does not mean settling religious disputes politically. It also does not mean that conservatives have a monopoly on faith, or even that all conservatives are necessarily believers. The second tenet of conservatism is tradition and order. Conservatism is about conserving the best of western values that have led to an orderly society. Conservatives believe in the ability of mankind to build a society that respects rights, defends those rights and is also strong enough to repel the forces that would threaten it. One distinctive view of conservatives is our support of the nuclear family. That the family is a God-ordained institution and the fundamental building block of human society; that it consists of a man and woman lawfully married in a secure family home where natural or adopted children can be raised in a loving, wholesome and supportive environment. The third tenet of conservatism is liberty, or freedom. Conservatives believe that the individual possesses the rights enumerated in the Declaration of Independence, even life, liberty, and property, and freedom from the restrictions of arbitrary force from the government. These rights are exercised using our natural free will. That means we can follow our own dreams, to do what we want to (so long as we don’t harm others) and either reap the rewards or face the penalties. Above all, it means freedom from oppression by the government—and the protection of the government against oppression. It means political liberty, the freedom to speak your mind on matters of public policy. It means religious liberty—to worship as you please, or not to worship at all. It also means economic liberty, the freedom to own property and to allocate your own resources in a free market. Conservatives believe in freedom of association. No one should be forced to participate in an event they find to be immoral, whether it’s the Pledge of Allegiance or a gay wedding or a presidential inauguration. The fourth tenet of conservatism is the rule of law. Conservatism is based on the belief that it is crucial to have a legal system that is consistent and predictable, that allows people to know what the rules are and enforce those rules equally for all citizens. This means that both officials and the governed are subject to the law. This is something that the American founding fathers seem to understand better than those governing today. Judges must judge people as individuals; the idea of taking into account the group they belong to is considered inherently unjust. The U.S. Constitution is the most remarkable one ever enacted. It established the first modern republic and for the first time defined individual rights as inalienable and universally applicable to all citizens. This is no comprehensive manifesto of what it means to be a conservative. This short list hits what I consider the high points. Conservatism is the philosophy of the Constitution, The Declaration of Independence inspired by Judeo-Christian values. I believe it reflects the values that serve as the four pillars that our nation was founded on. It also serves as a warning that they must be preserved by all legal, moral and political means. Loss of a single leg renders a platform unstable. It creates an unwieldiness that cannot be adequately compensated for. America is the last great hope in the world for such stability. Join us in keeping American stable, even Keeping America Great!